Valentino is one of those brands that it is hard to dislike. Every fashion show overflows with breathtaking creations and their evening gowns are one of the most sought after ones. With their handbags though, I feel like we have Valentino Rockstuds a bit too long and it is time to move on. Don’t get me wrong. I do like Rockstuds and still wearing my Valentino Rockstuds heels. However there is only so much one can do with it. As I didn’t talk about this brand long time, I think it is time to change that. 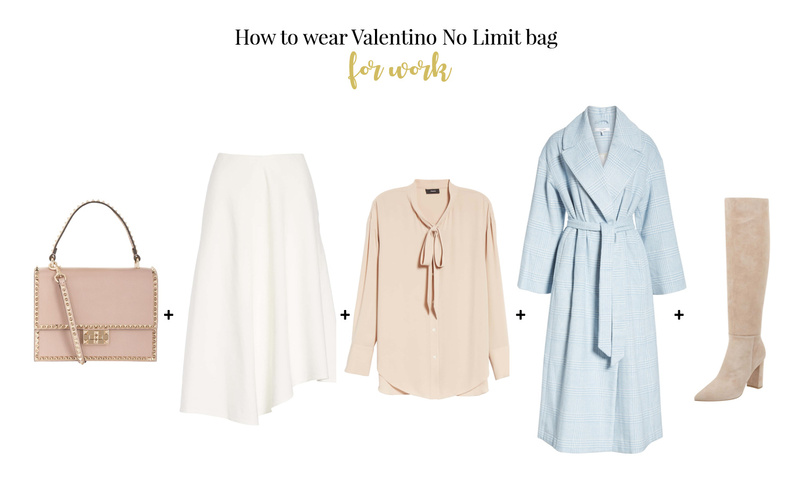 So in this post you will find 3 latest Valentino bags, I think, are worth talking about. And YES, Rockstuds ARE included here. My first choice is the new Valentino Bloomy cross body bag. Now this is what I am talking about. Something new, with different dimensions, creating a bit of 3D effect. Buttery leather and flower blooms at the front with an elegant and discrete clasp. Even though it doesn’t look it, this bag is quite big and therefore perfect for everyday life. 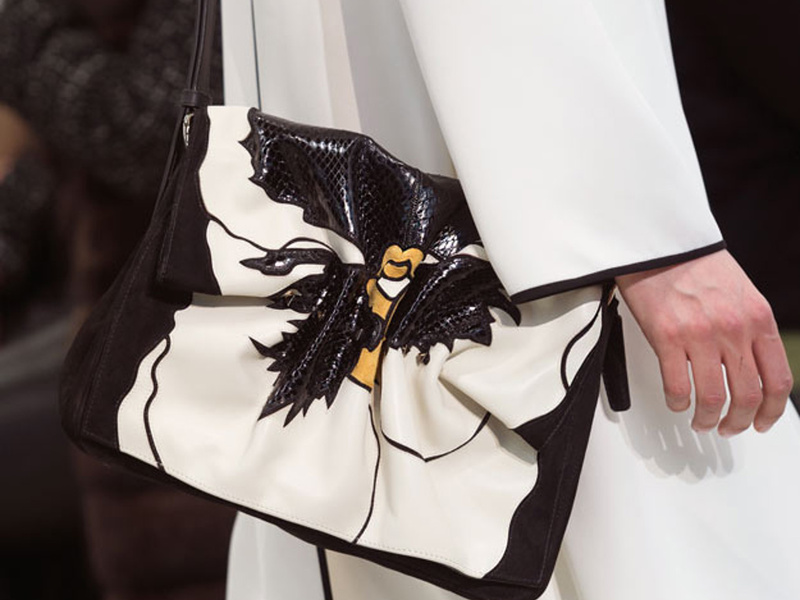 For me, this Valentino Bloomy bag is a highlight, as after some time, this is a bag with new shape and with no Rockstuds. This would be my second choice. I know, it has Rockstuds all over the place, but I rather like the shape. It is new, fresh and saddle bags are great for autumn. Don’t you agree? This bag you can get in few different colours, but my favourite is this baby blue. The size is quite generous – H14.5cm x W23cm x D6cm (approx). You might struggle a bit with the amount of things you can put inside, because of its half circle shape, however I thing you can manage. The price is £1,745 (price may vary). It really is hard to find a bag with no studs, however I think this one is very pretty. This one looks very elegant and you can wear it as a top handle bag or as a shoulder bag. It comes in few colours and also in velvet. 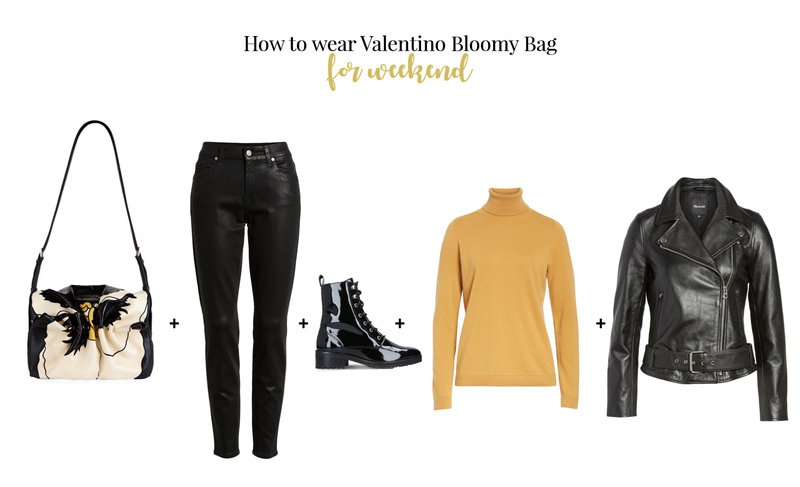 Like almost every winter, velvet is back and this bag look very luxurious in black. The only problem with velvet is that after a while, it looks somewhat old and shabby. Anyway, with the measurement of H17cm x W23cm x D8cm (approx), this Valentino No Limit bag will also fit among these bag I wrote about here. The price is £1,800 (price my differ depend on country). There is also a smaller, cross body version, which is a bit cheaper, but doesn’t have that many colours options. And which one is your favourite? 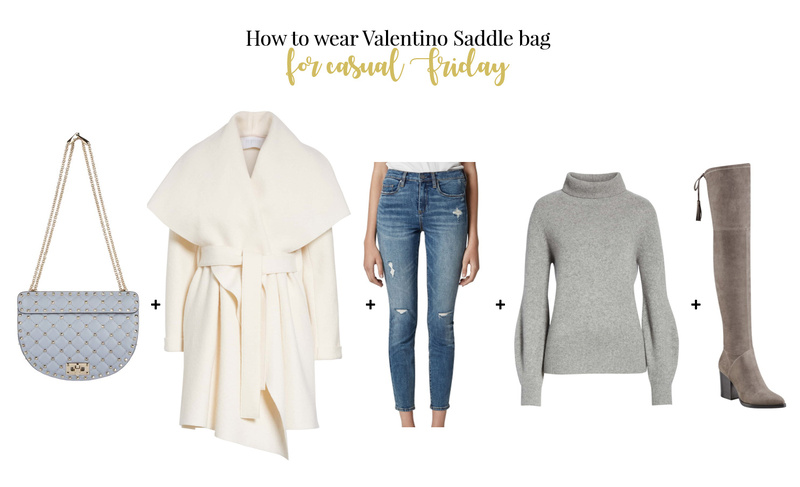 You can also refresh your memory by looking at the classic Valentino bags below.